Home > Google News > Google Updates > Possible Google Panda Update Over The Weekend? Possible Google Panda Update Over The Weekend? On Friday, we reported some early chatter around a Google update possibly kicking off Friday morning. Well, as expected, it seems to have heated up over the weekend. 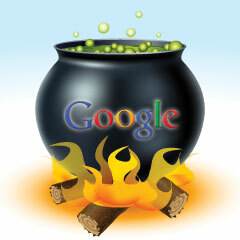 Not only has the chatter spiked up a lot, so have some of the automated Google tracking tools. Today, our traffic is up nicely over Friday, April 17 (two weeks ago). What's interesting is that I'm seeing double-digit increases for most Continental European countries but single-digit increases elsewhere. There's something definitely going on, my site was always affected by the pandas, and now i'm up by 5%, so i guess there was a panda update starting on thursday i guess... The change is not big, but for me it means that after some hard work, finally Panda gave me some love. I noticed that beginning on Monday 04/27 our traffic began to significantly decline. It has gotten worse day after day. Today, 5/2 we are running 30% less hour over hour comparing to last Saturday 4/25. Trying to find more information on the update people have noticed 4/28 / 4/29. Something huge went down in the UK overnight. I don't think it's affected all verticals yet and it doesn't appear to be isolated to mobile search. Mozcast showed huge spikes on Sunday and spikes also on Saturday, showing 91 degrees on Sunday, which is huge. SERPs.com has shown large changes on Saturday, like Mozcast, but has not yet updated for Sunday. Lots of fluctuations reported at SERP Metrics as well. Algoroo isn't spiking but showing changes and same with Advanced Web Ranking. But the truth is, Google Analytics doesn't show much of a change in referrals from Google organic search over this weekend compared to the past few weekends - but traffic is different from visibility in SERPs. Did you notice a Panda update over the weekend? Maybe it was another algorithm? This is not mobile related exactly. Update: Google told me that no update happened over the weekend. Previous story: Bing Webmaster Tools Dropping Yahoo Data?